Nigeria Decide Blog – Nigeria 2015 General Elections information and monitoring platform. 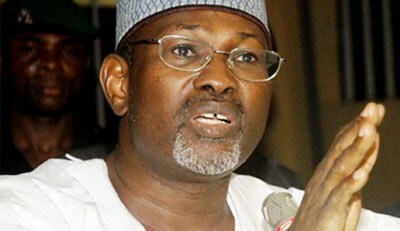 TATEMENT ON THE TIMETABLE FOR 2015 GENERAL ELECTIONS BY THE CHAIRMAN, PROFESSOR ATTAHIRU M. JEGA. On Thursday, February 5, 2015, I was invited to brief the National Council of State, which is the highest advisory to the President comprising past and present leaders in Nigeria, on the level of preparedness of INEC to conduct the 2015 general elections. I made a presentation to the Council titled ‘Preparations for the 2015 General Elections: Progress Report,’ in which I gave a detailed account of what the Commission has been doing in readiness for the national elections (National Assembly and Presidential) scheduled for February 14th, and the state elections (Governorship and State Assembly) scheduled for February 28th, 2015. In the delivery and deployment of electoral materials, INEC is also at a comfort level in its readiness for the general elections as scheduled (see the presentation to the Council of State). The Commission’s preparations are not yet perfect or fully accomplished. But our level of preparedness, despite a few challenges, is sufficient to conduct free, fair and credible elections as scheduled on February 14th and February 28th. Compared with 2011 when, within a short time, we conducted general elections that were universally adjudged free, fair and credible and the best in Nigeria’s recent electoral history, our processes are today better refined, more robust and therefore capable of delivering even better elections. (i) In view of the latest development, should INEC proceed with the conduct of the general elections as scheduled in spite of this strong advice; and if so, what alternative security arrangements are available to be put in place? (ii) Or, should INEC take the advice and adjust the schedules of the general elections within the framework of Constitutional provisions? Consequently, the Commission has decided to reschedule the 2015 general elections thus: the national elections (i.e. Presidential and National Assembly) are now to hold on March 28th, 2015; while the state elections (Governorship and State Assembly) are to hold on April 11th, 2015. It should be noted that this rescheduling falls within the constitutional framework for the conduct of the elections, notably, Sections 76(2), 116(2), 132(2) and 178(2). See also Section 25 of the Electoral Act 2010 (As Amended). For the safety of all participants in the electoral process, every person in the polling environment on Election Day will have some form of accreditation from the Independent National Electoral Commission (INEC). These include poll workers, registered voters, party agents, domestic and international election observers, local and foreign journalists as well as special guests of the Commission. Accreditation is also required for assistants like translators, orderlies, drivers and audio-visual handlers. Media organsiations intending to send representatives to report the election procedures must apply to INEC for the accreditation of every such individual. Relevant application forms are available online at www.inecnigeria.org or may be collected in person (Monday to Friday, 8.30 a.m.. to 4.00 p.m.) from the Department of Voter Education and Publicity, INEC Headquarters Annex, 10 Blantyre Street, (Near Barcelona Hotel), Wuse 11, Abuja; or from the state (head) offices of INEC for media organisations/journalists intending to cover the elections in the respective states. Applications must be received not later than 6th February 2015. Media organisations are advised to assign Liaison Officer(s) to coordinate the accreditation of their nominated staff by INEC. The Liaison Officer(s) will be required to visit the INEC national or state offices, as may be relevant, to submit the accreditation application documentation. The Liaison Officer will also be the organisation’s contact person to be reached with further information by INEC. Duly completed application forms with two passport photographs of each staff of the media organisation being assigned for election reportorial duties. A covering letter on the media organisation’s letterhead outlining the names and duties (e.g. Correspondent/Reporter, Cameraman, Translator, Driver, etc). Proof of identity (e.g. a professional ID Card, International Passport, etc). (b) The Resident Electoral Commissioner (REC), through the Public Affairs Officer (PAO) in respective of states across the federation and the Federal Capital Territory (FCT), for journalists who will be covering elections in those states or the FCT. Please Note: INEC reserves the right to withhold accreditation from any organisation or journalist whose professional identity is not adequately verifiable. Observe the deployment of sensitive materials ahead of Election Day polling, and the retrieval of used and unused sensitive materials after the polling processes. Handle any polling materials in the Polling Unit. Accredited journalists, like everybody else in the polling environment, shall be subject to direction of and prohibitions by the Presiding Officer. Please Note: INEC reserves the right to revoke the accreditation of any journalist who defies the Presiding Officer or violates the professional codes of journalist practice.